For over ten years, Yumi Hashimoto has upheld a busy and extensive schedule as a piano teacher, working mostly with children in private and group settings. Over many years of teaching piano in New York City, she has prepared her students in entering competitions, music school auditions and state exams such as the NYSSMA and the ABRSM. Passionate in music education, Yumi has attended seminars and workshops specializing in the Dalcroze method. Yumi Hashimoto earned her Bachelors Degree at El Camino College and California State University and her Masters Degree in classical piano from the Manhattan School of Music. While attaining her degrees, Yumi has had the opportunities to study with Konstantin Sirounian, Stephen Moore, Laurie Carney, Phillip Kawin and Jeffrey Cohen. 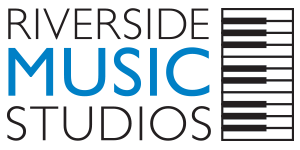 Yumi is offering beginner to professional classical piano lessons at Riverside Music Studios in NYC. Please contact us if you would like Yumi Hashimoto to become your piano teacher! READY TO START Piano LESSONS IN NYC?